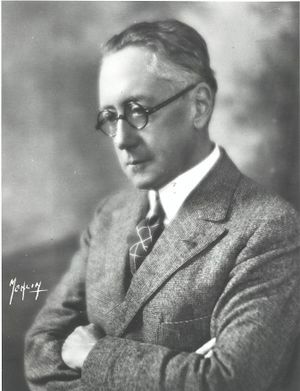 John Stone Stone, IRE President, 1915, invented the Stone common battery, and served as associate engineer for the American Telephone and Telegraph Company’s research and development department. John Stone Stone was born in Dover, Virginia to Charles Pomeroy and Jeannie (nee Stone) Stone in 1869. His father spent most of his career as a military man, both for the US Army and for the Khedive of Egypt, the Turkish sultan’s viceroy. While in the former post, he met and married a New Orleans woman who would become John’s mother. John was born while his father was between military assignments and was working as an engineer and superintendant for a mining company in Virginia. John spent the first several years of his life in Egypt and the Mediterranean. After returning to the US, John Stone Stone attended the Columbia University School of Mines and Johns Hopkins University. He began his career in 1890 as an experimentalist in the American Bell Telephone Company laboratory in Boston. He left Bell after nine years and spent some time as special lecturer on electrical oscillations at the Massachusetts Institute of Technology. In 1902, he became director, vice-president and chief engineer of the newly incorporated Stone Telegraph & Telephone Co., which manufactured and leased wireless telegraph apparatus. He served as president and chief engineer of this firm from 1908-1910. For the next ten years he turned to consulting and acting as an expert witness in patent cases. During this period, he wrote a defense of Nikola Tesla’s priority in Radio and Continuous-Wave Radiofrequency Apparatus}. In 1920, he became associated with the American Telephone and Telegraph Company as associate engineer-at-large of the research and development department and remained in that position for fifteen years. Stone made many contributions to the fields of telephony and radio telegraphy. While working at Bell, he invented the Stone common battery system and assisted in developing the carrier current system of transmission over wires and methods of uniformly loading telephone cables with inductance. He held several patents, including one for a system of loosely coupled, tuned circuits for radio transmission and reception (1902), the priority of which over Marconi's similar system was established by a U.S. Supreme Court decision after Stone's death. He was the author of several important technical papers, including "The Practical Aspects of the Propagation of High Frequency Waves Along Wires," for which he was awarded the Franklin Institute Edward Longstreth Medal in 1913. He was instrumental in the founding in Boston of the Society of Wireless Telegraph Engineers (SWTE) in 1907 and served as its president until 1909. That organization originally provided a forum for the reading and discussion of technical papers for the staff of the Stone Telegraph & Telephone Co., but was then expanded to accommodate radio engineers in general. In 1912, SWTE merged with The Wireless Institute to form the Institute of Radio Engineers. Stone was a member of the board of directors of the IRE from 1912-1917, vice-president of the Institute in 1913 and 1914, and president in 1915. He was made a Fellow of the IRE in 1915 and received the Medal of Honor in 1923 "For distinguished service in radio communication." In 1963, IRE merged with the American Institute of Electrical Engineers (AIEE) to form the Institute of Electrical and Electronics Engineers (IEEE). John Stone Stone died on 20 May 1943 in San Diego, California. Stone, John Stone. "The Theory of Wireless Telegraphy," Transactions of the 1904 Saint Louis International Electrical Congress III. (St. Louis: Saint Louis International Electrical Congress, c. 1905), 556-558. Stone, John Stone and Leland I. Anderson. John Stone Stone on Nikola Tesla's Priority in Radio and Continuous-wave Radiofrequency Apparatus, (Includes complete text of Stone's unpublished 1915 study.) (Bloomfield, NY: Antique Wireless Association), 1986. Stone, John Stone. "Maximum Current in the Secondary of a Transformer," The Physical Review (Series I), Vol. XXXII, no. 4 (1911), 398-406. Clark, George H. The Life of John Stone Stone: Mathematician, Physicist, Electrical Engineer and Great Inventor (San Diego: Frye & Smith, 1946). Dunlap, Orrin Elmer. Radio's 100 Men of Science: Biographical Narratives of Pathfinders in Electronics and Television. (New York: Harper & Brothers, 1944). This page was last edited on 14 February 2019, at 20:21.